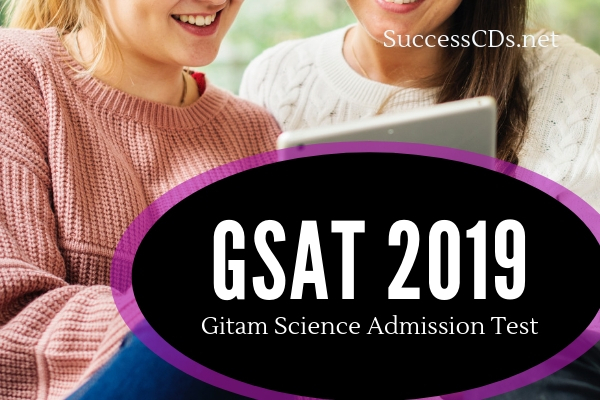 Selection is based on the performance of candidates in GITAM Science Admission Test (GSAT-2019) to be held at various centers in Andhra Pradesh and other parts of India. Applications can be obtained by post, from Principal, GITAM Institute of Science by sending a request on plain paper giving the candidate's name with complete mailing address, accompanied by DD for Rs.550/-(inclusive of Test fee Rs. 500/) drawn in favor of Principal, GITAM Institute of Science payable at Visakhapatnam on any scheduled bank. Request by post will be accepted till 20th April 2019 for UG and PG programs. Candidates appearing for more than one test need to submit separate application along with the prescribed fee of Rs.500/- for each test.